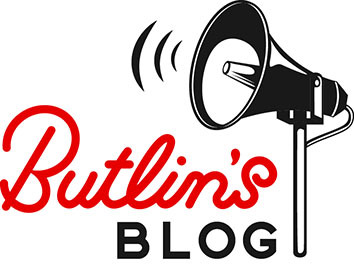 This week at Butlin’s, we have been celebrating the great outdoors. 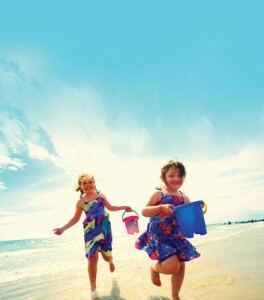 We love the combination of sunshine, fresh sea air and exciting activities for all the family. On each of our resorts we have a wealth of things to do that incorporate all three of these magical ingredients that create the perfect recipe for a great family break. 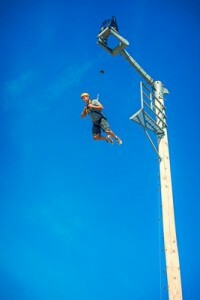 So here is a list of my top 5 things to do outside, available at all three of our resorts. 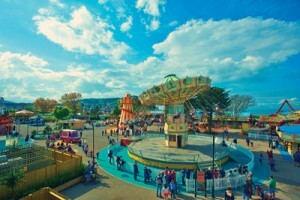 Packed full of classic family funfair rides, each of our resorts has its own Traditional Fairground designed to bring out the young at heart and put big smiles on those little faces. 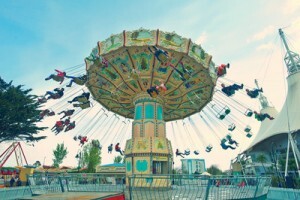 Featuring rides such as Carousels, Chair-O-Planes, Helter Skelters and much more! 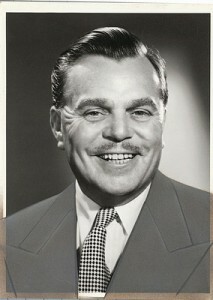 Did you know that Sir Billy Butlin introduced Dodgems to the UK in the 1930’s? In honor of our great founder, each resort has Dodgems, and even better, they are all part of the price! Designed to get the adrenaline pumping, our Aerial Adventures include Climbing Walls, Zip Lines, High Ropes and the Leap of Faith! 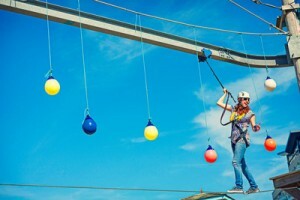 The high ropes have two levels – a high one only for the brave amongst us and a lower level rope course, which everyone can comfortably enjoy. 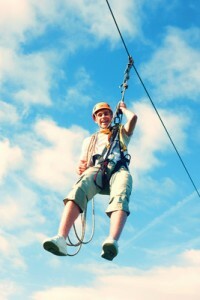 Complete the course and fly across the resort on the Zip Wire. Family can watch from below as you zoom your way, safely back down to earth. 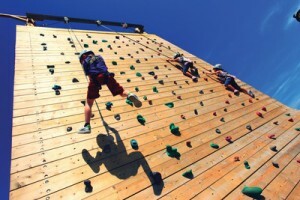 Our younger visitors can enjoy the thrill of getting to the top of the 11-meter high climbing wall, where our Instructors are on hand to help them through and ensure they get the best out of their experience. Then for the big finally – The. Leap. Of. Faith!!! Climb to the top of the breath taking 11-metre high pole and prepare to face your fears, as you leap and fall back down to earth. EN GARDE! 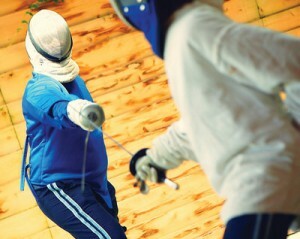 Suitable for all aged over 8, Fencing is great fun! Get yourself dressed up in our protective clothing and get ready for an energetic workout, learning this noble art form. Don’t worry though, we use rubber tipped foils to ensure safety whilst our great-qualified coaches show you all the techniques. On all three of our resorts you will find dedicated spaces just for play! Lets be honest the whole family love play areas! For children, they are a paradise of extreme fun and for parents they are an opportunity to watch their children run around with big joyful smiles (and if were really honest, release the child in you, as you slide down the awesome looking slide “for the kids”). All three of our resorts are located on amazing Great British beaches so there is no excuse for a visit to our beautiful beaches! Beautiful Ocean, fresh sea air and plenty of space to play is the perfect recipe for a brilliant family break. Add a portion of traditional seaside Fish and Chips or an Ice Cream on top and you are truly winning! Each resort has its own positives with Bognor Regis, being the sunniest town in the UK with award winning, Blue Flag pebble beaches. Minehead, in the heart of Exmoor with beautiful sandy beaches and Skegness, where Butlin’s all began with amazing Blue Flag sandy beaches. But don’t fear, here at Butlin’s we understand that the Great British weather sometimes doesn’t allow us to embrace to outside. That’s why we believe, ‘Rain Never Stops Play’ and have plenty to do inside as well.